Yesterday, for our Valentine’s Dinner we had a wonderful 3-course meal, made by my husband and I. He makes a mean steak, especially filet mignon. Sorry, don’t have pictures of the first two courses, but here’s the dessert: Beet Red Velvet Æbleskiver with cream cheese filling. 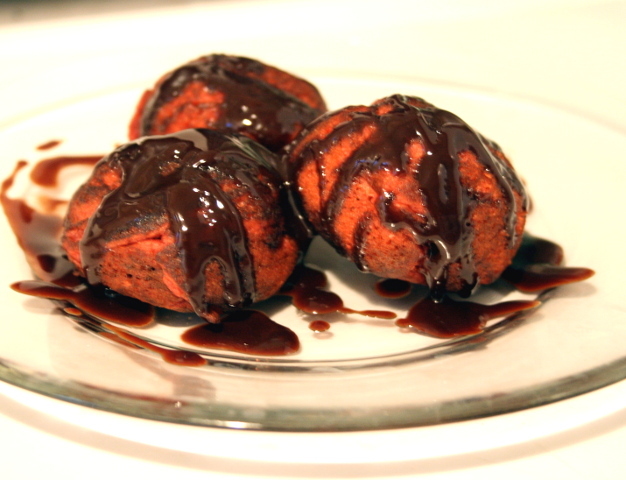 Have you ever had aebleskiver? It’s like a pancake in spherical form and often filled with apples, jam, or other goodies. Aebleskiver is a traditional Danish dish. The dry ingredients: flour (I used kamut again–yes I’m on a kamut kick! ), salt, baking powder, cocoa, and a bit of sweetener (I used stevia this time). 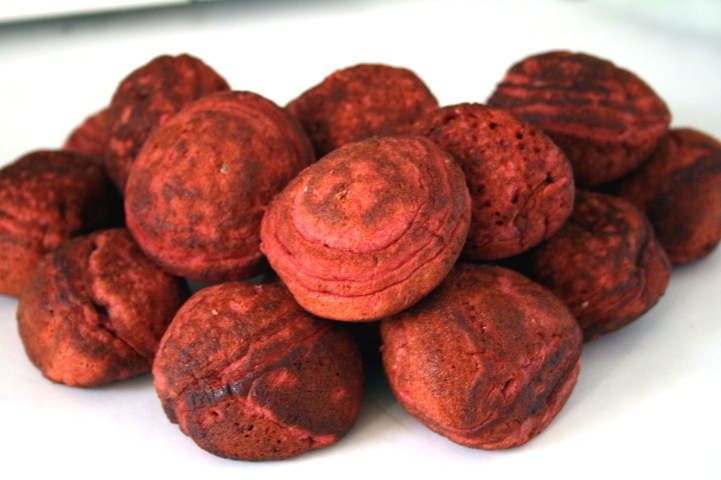 I don’t think beets are a traditional ingredient in aebleskiver, but they are becoming popular in baked goods and even burgers. If you don’t like beets, I suggest using applesauce instead of the mashed cooked beets and 1 tablespoon of red food coloring. 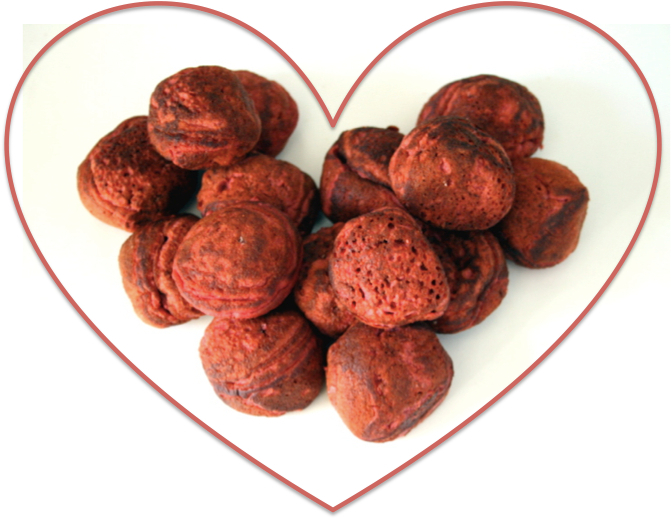 For info on making your own natural red food dyes check out this Mother Nature Network article. I also used some coconut milk instead of buttermilk. I often drink it in the mornings. I think any type of milk would be fine in this recipe. Aebleskiver are known for being lighter and more airy than pancakes, and part of the reason why is the use of egg whites, stiff peak stage. 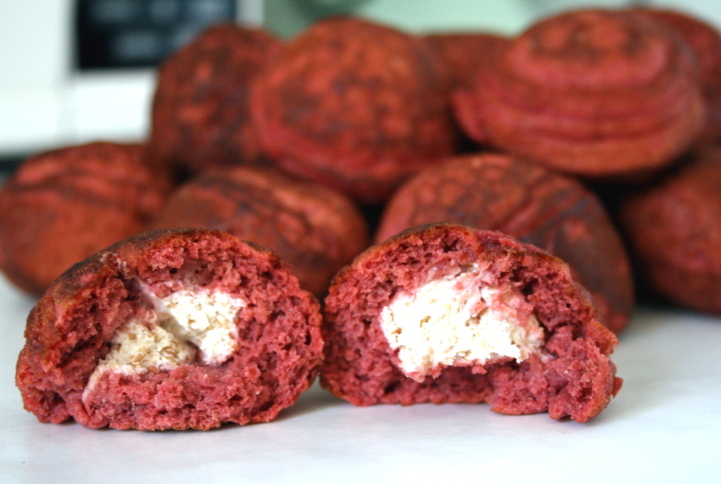 Cream cheese filling. I portioned ~1 teaspoon balls of the filling so it would be easier when cooking them. It case you are wondering why the filling isn’t as white, I mixed in some ground flax. I like the flavor of it and for a bit of texture. Batter up! I love this color. You do need a special pan to make these pancake balls. I got this one about 3 years ago. I’m a kitchen gadget junkie, but I’m trying to make use of all of them, hehe. It is kind of tricky to turn them, so I suggest watching the video below on how to turn the aebleskiver if you want to try to make these. 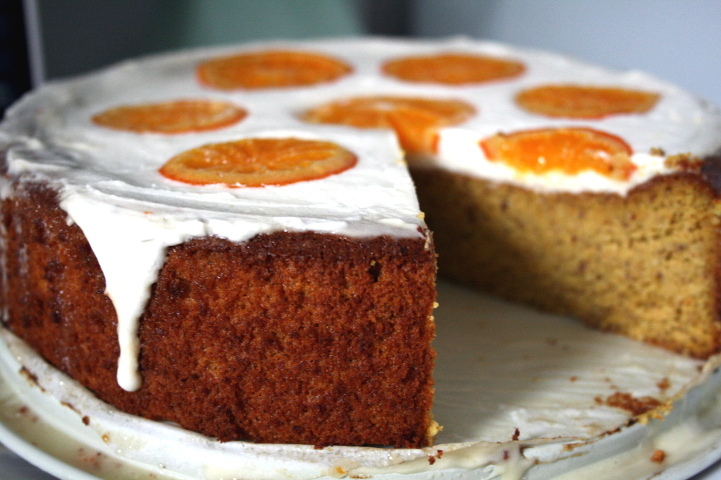 Once you get a hang of making these, your family may request to make it more often! To accompany the Valentine’s aeblekiver, we had a red wine chocolate fudge sauce. 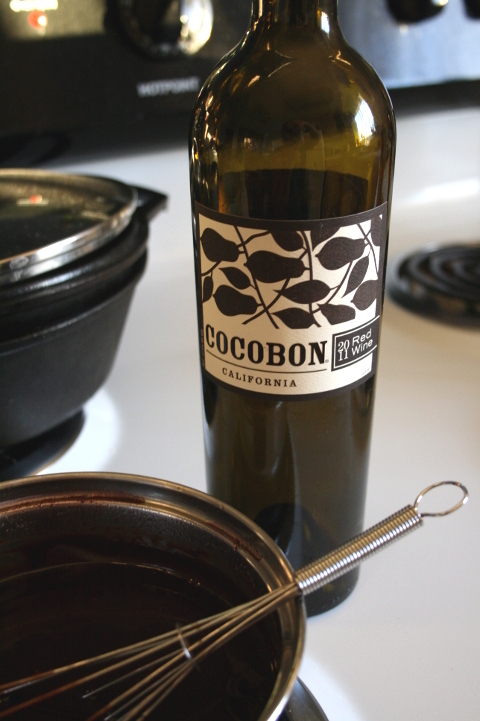 I used this Cocobon wine. 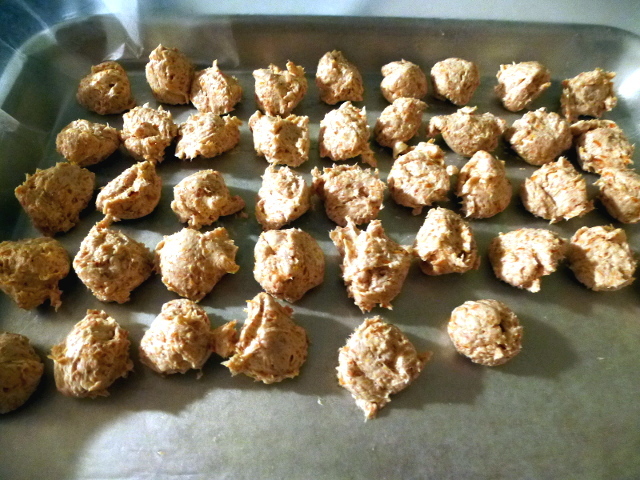 Make the filling: Mix the cream cheese, flax, stevia, lemon juice, cinnamon, nutmeg, vanilla, and salt until combined. Set aside until needed. 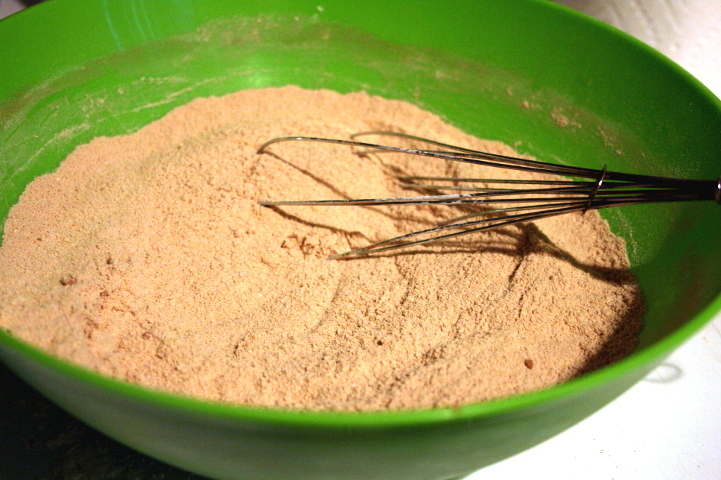 Dry ingredients: Whisk together the flour, cocoa powder, stevia, salt, and baking powder. 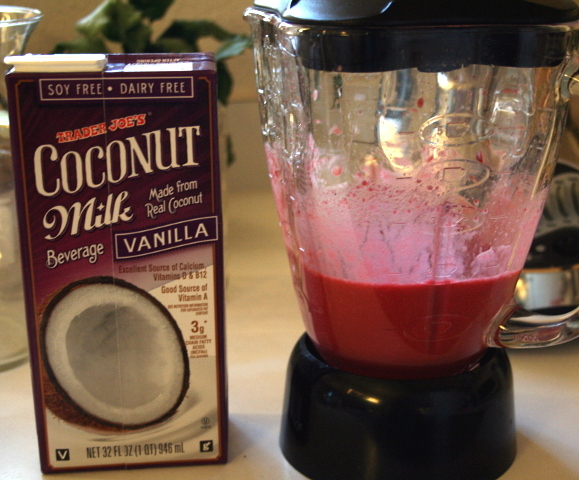 Prepare the beets: Using a blender, puree the mashed beets and 1 cup of the buttermilk until smooth. Wet ingredients: Add the remaining 1 cup of milk, vinegar, egg yolks, vanilla, stevia, and vanilla to the beet mixture that is in the blender. Blend on low until everything is thoroughly mixed. Before finishing the pancake batter, start heating up your aebleskiver skillet to medium. 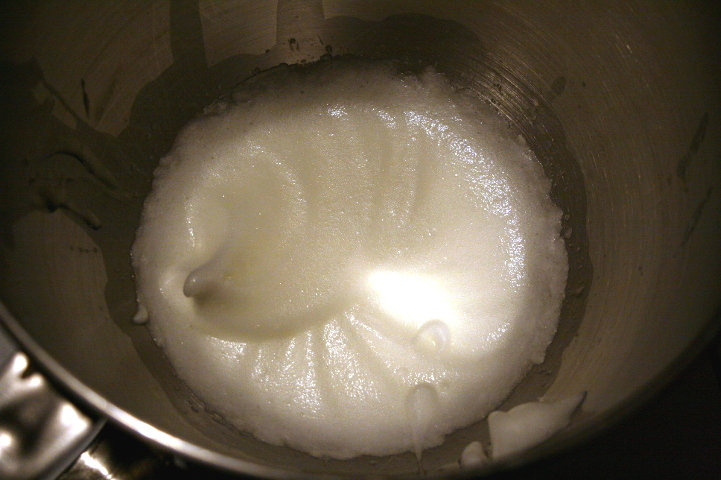 Egg whites: In a clean and dry bowl, beat the egg whites to stiff peaks. Gently fold the beaten egg whites into the batter mixture until just combined. When the skillet is hot, grease each well with butter (or oil). 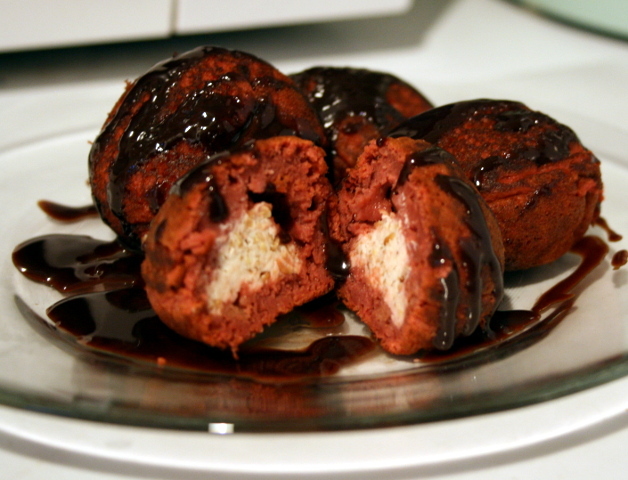 Place about 1 tablespoon of the batter in each well, then put 1 teaspoon of cream cheese filling on top of the batter. Top with more batter to fill each well. Slightly tricky turning steps (view this video on turning the batter before making aebleskivers): Cook for 1 to 2 minutes on this first side. As a thin shell forms and bubbles appear, use a traditional knitting needle or skewer to gently invert the cooked portion and allow the uncooked portion to flow into the cup. 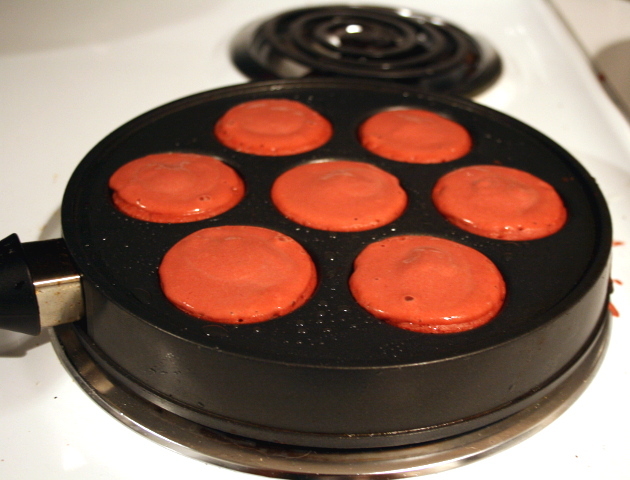 Invert each aebleskiver and cook until all shells are set and all sides are sealed. Continue rotating and cooking until they are evenly golden brown and a wooden toothpick inserted in their centers comes out clean. Repeat with remaining batter. Keep cooked pancake puffs warm on a baking pan in the oven set at 200 degrees F. Enjoy with some chocolate red wine fudge sauce! In a saucepan, heat the butter, wine, honey, and a pinch of salt on medium high heat. Mix well. Let the mixture come to a boil and then turn off the heat. Stir in the chocolate until it is completely melted and is combined. Enjoy with aebleskivers, fruit, ice cream, or whatever you want! This entry was posted in Baking, Breakfast, Cooking, Food, Holidays, Recipes, Snacks and tagged Æbleskiver, beet, buttermilk, Dessert, kamut flour, Pancake, valentines day. Bookmark the permalink. G’day and YUM Samatha! They look very romantically yummy indeed! I have never heard of these but they look luscious! Thank you 😀 Just like pancakes, lots of variations are possible! So beautiful and I love that there’s red wine in your fudge sauce. Brilliant. We have aebleskiver here in Minnesota (though have never seen them filled)–have even purchased at farmers’ markets! Great post. Happy belated Valentine’s Day to you, too. Thanks 😀 Had to give the sauce some kick, hehe. This is how Japanese ‘takoyakis’ are made. ‘Takoyaki’ is savory, and I love this that is a dessert! WOW! 🙂 Red wine and chocolate in one dish. I’m sold. Texture looks perfect, too.